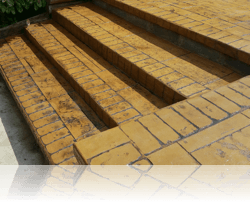 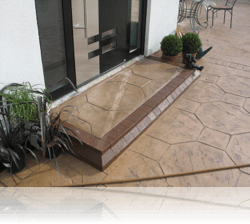 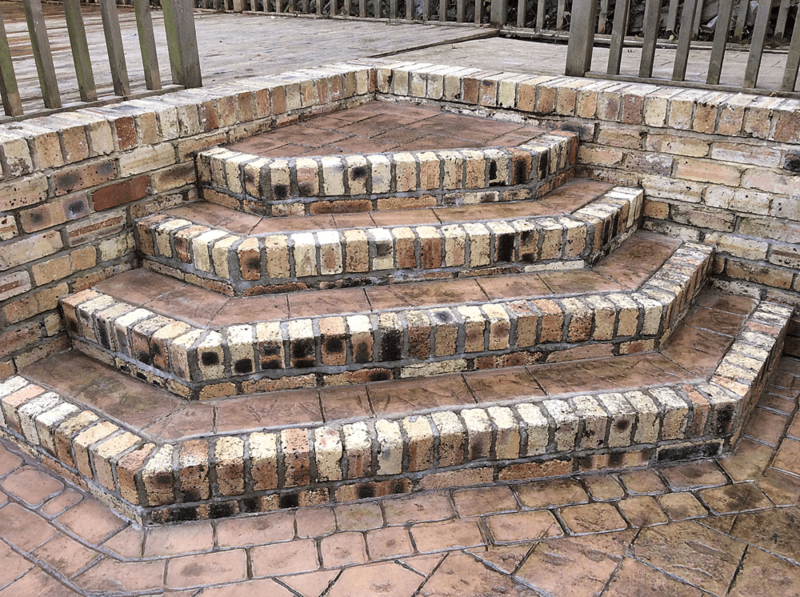 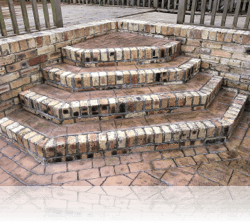 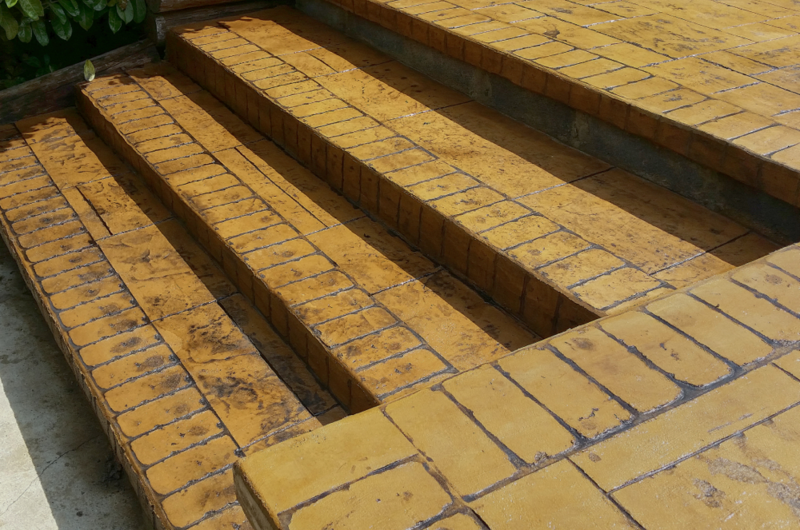 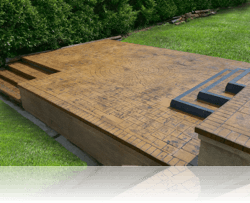 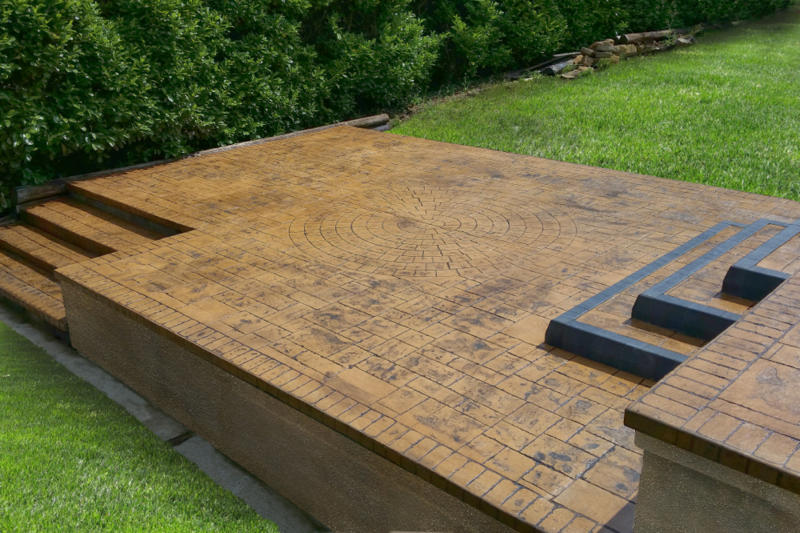 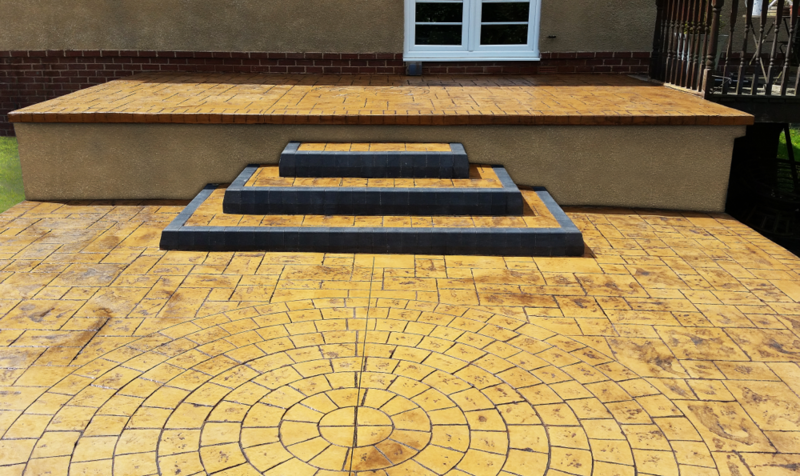 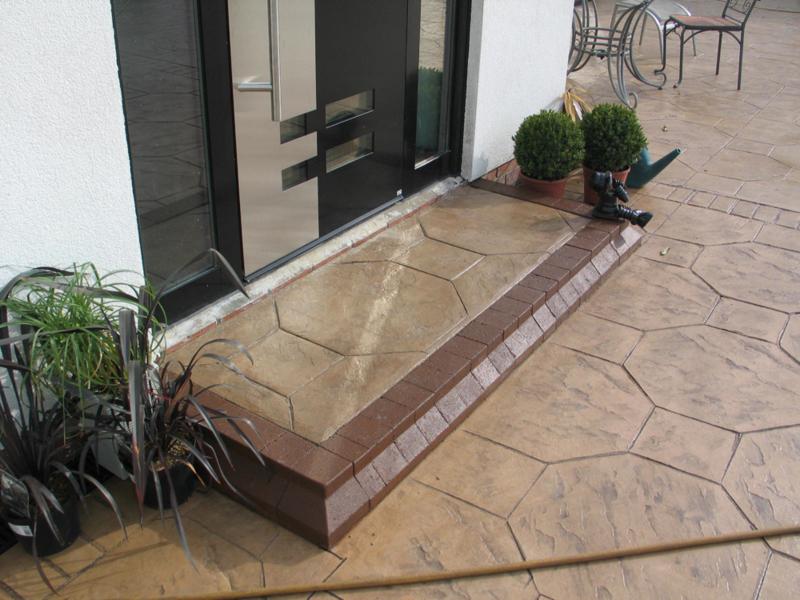 Pattern Imprinted Concrete steps are hand crafted and can be created for a variety of practical and visual purposes. 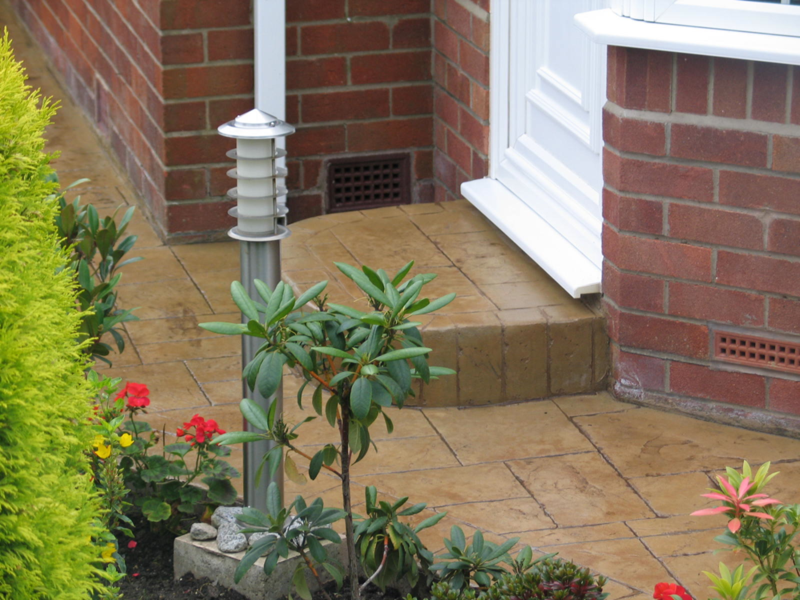 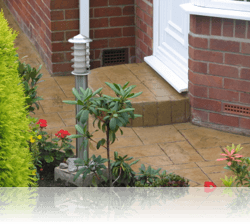 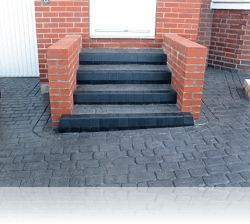 As an access to your garden, a stairway between levels in your landscaping or an entrance to your home. 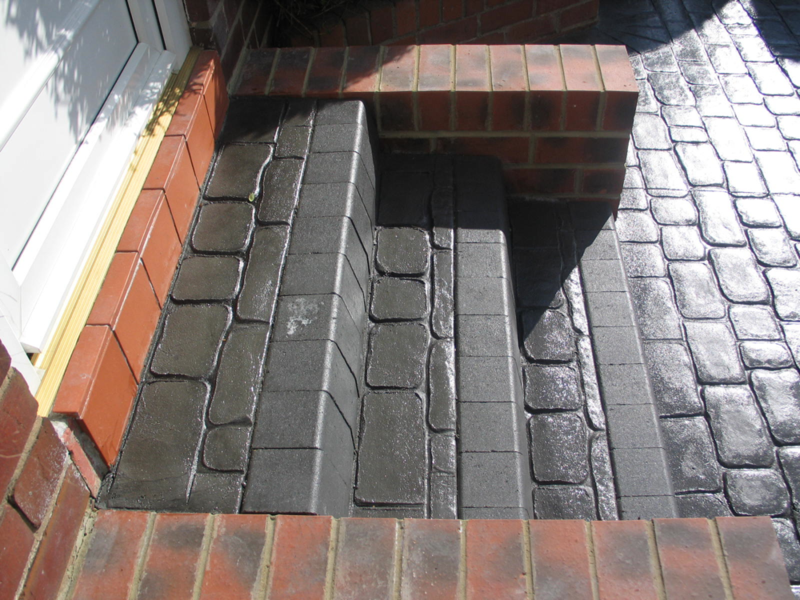 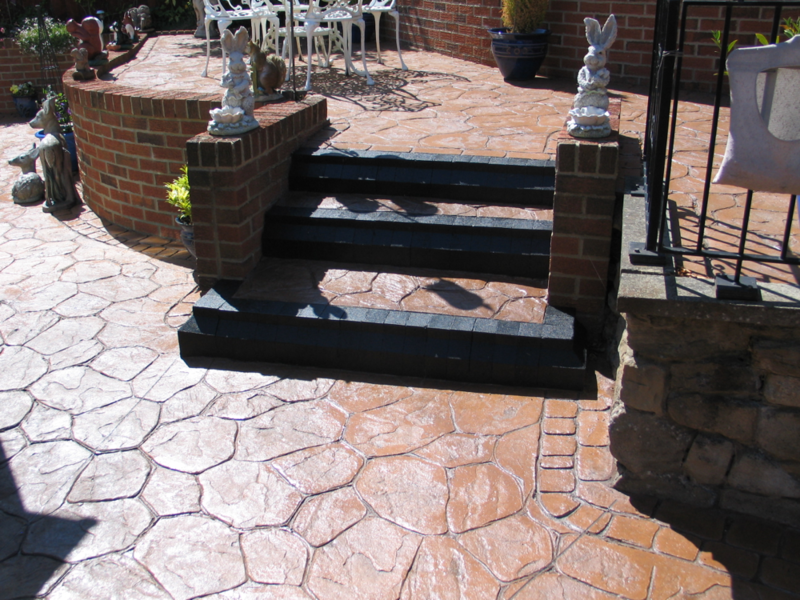 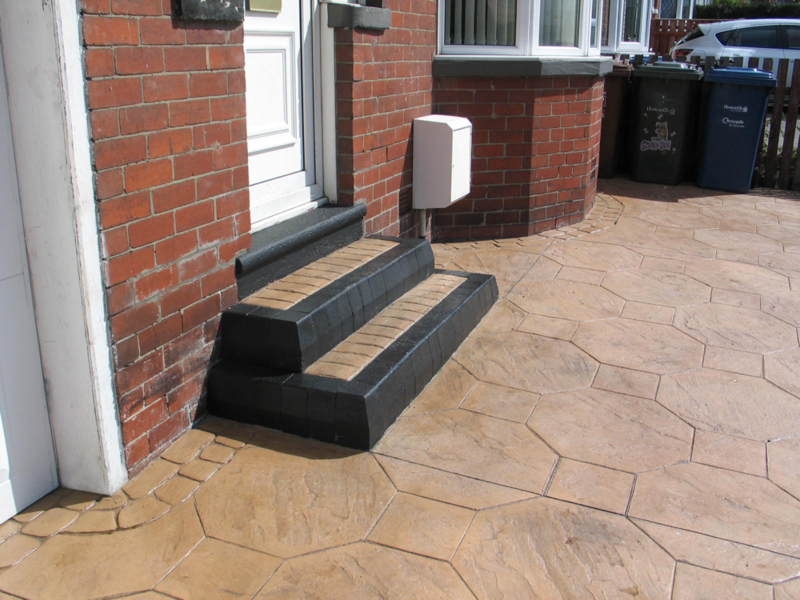 Steps can be incorporated in your chosen design. 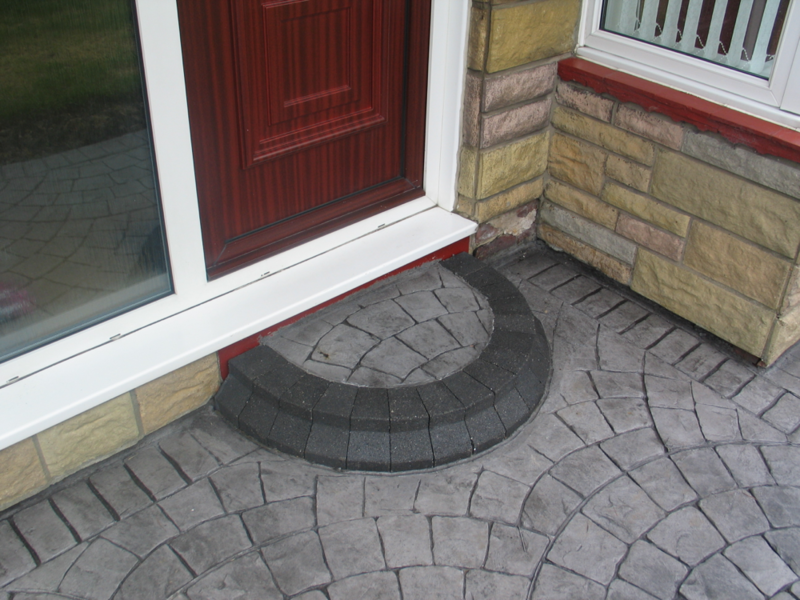 You can chose from our standard range of shapes, which include square, rectangular, rounded square, and circular. 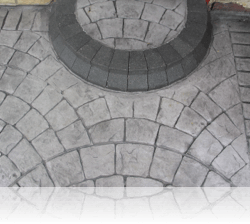 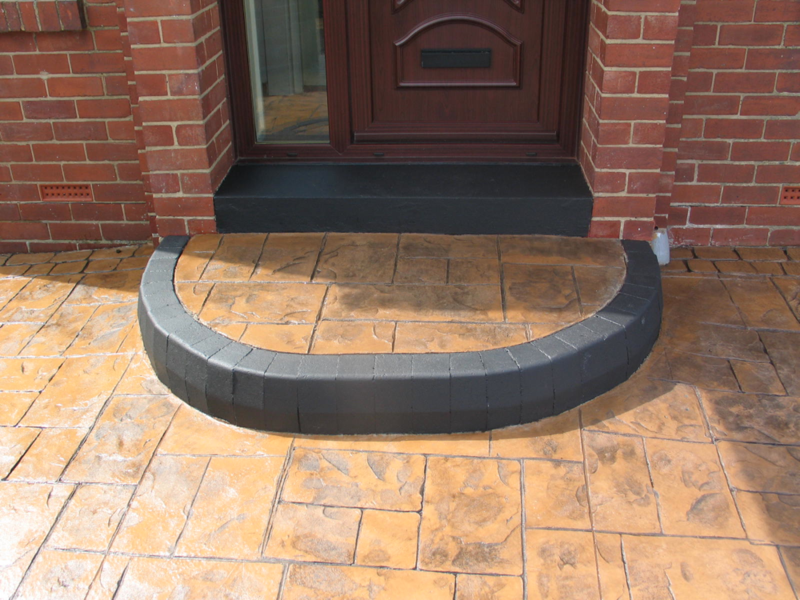 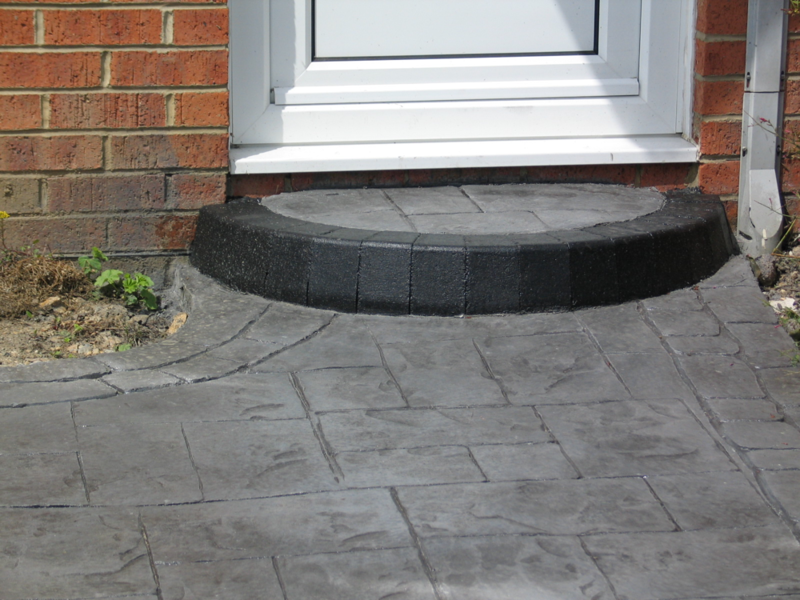 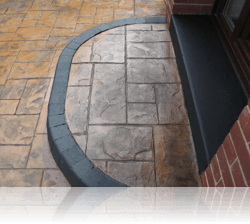 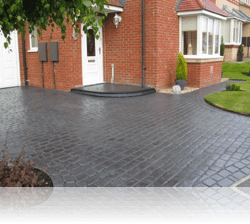 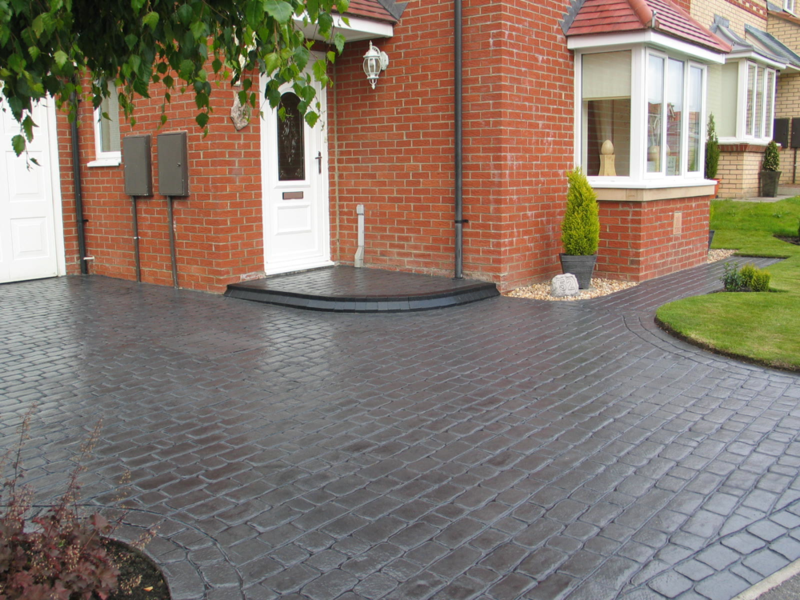 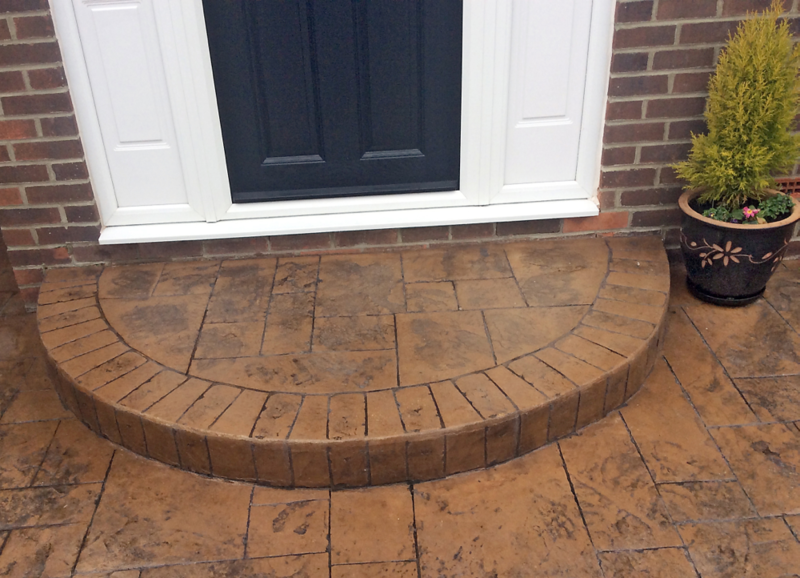 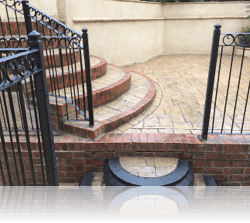 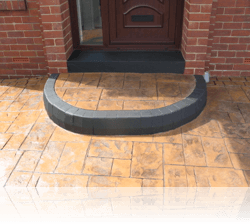 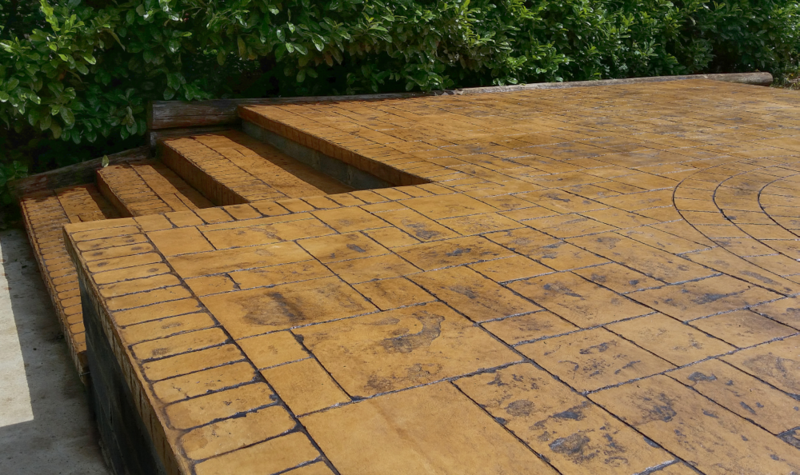 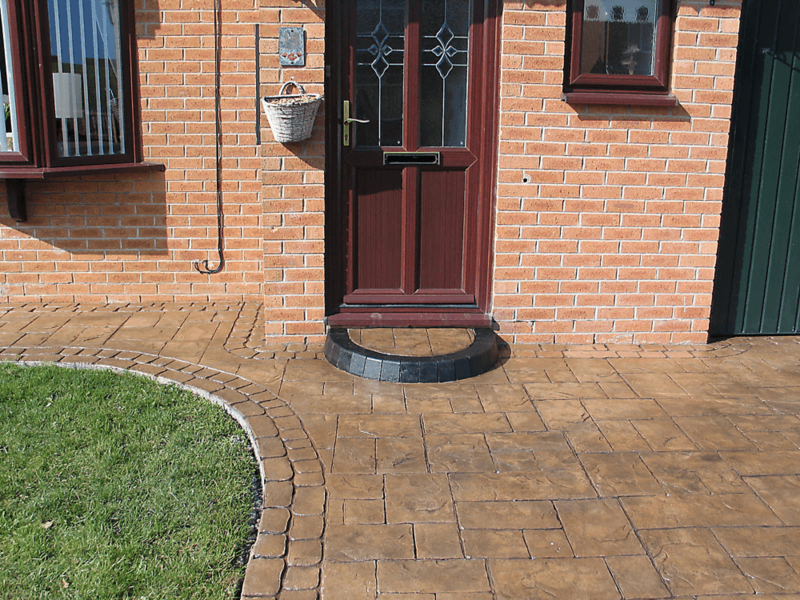 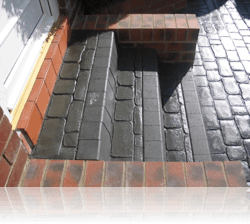 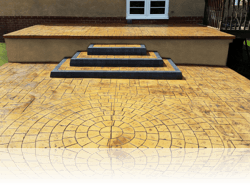 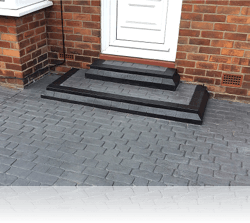 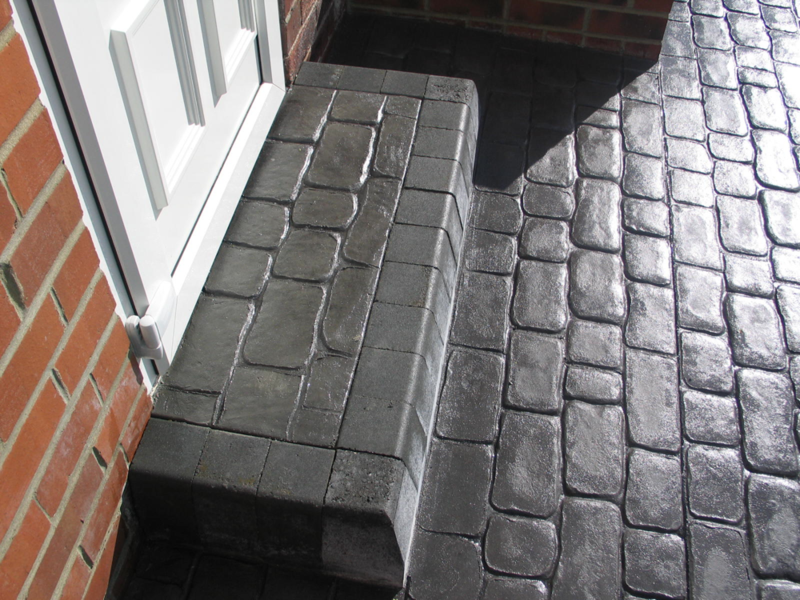 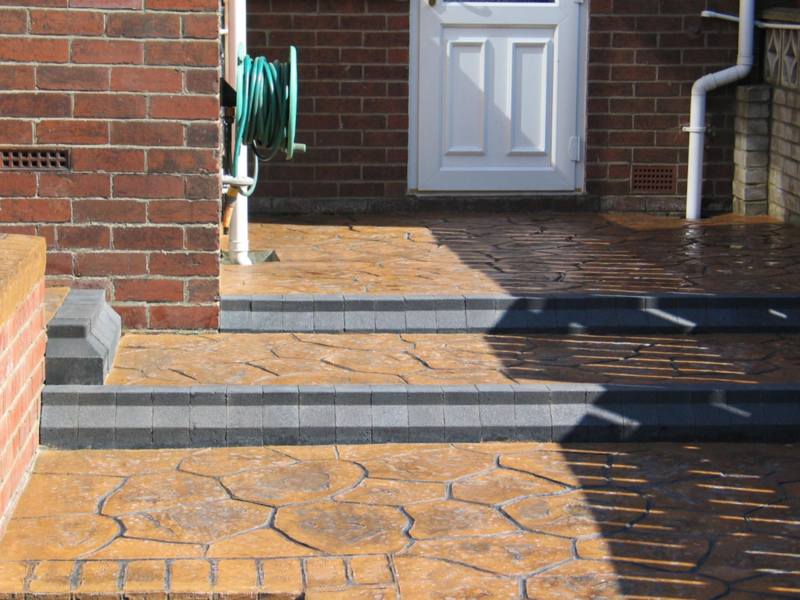 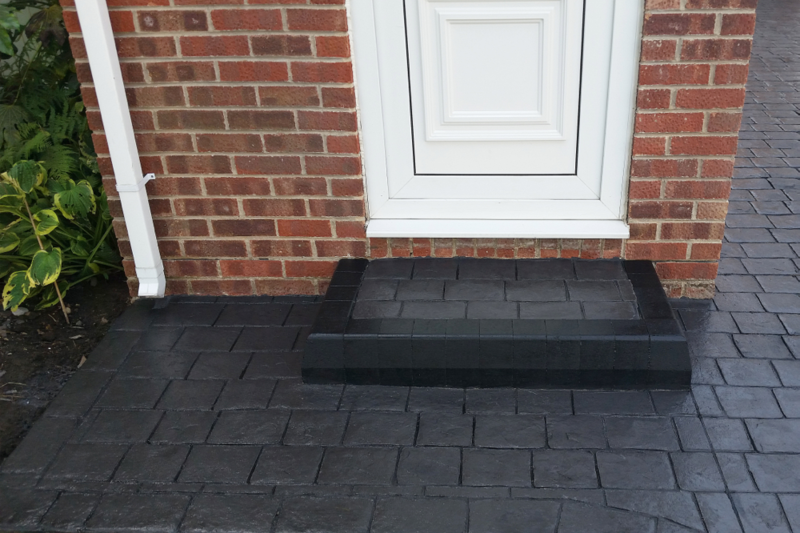 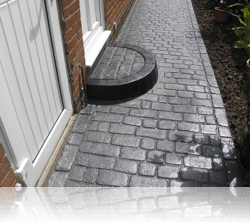 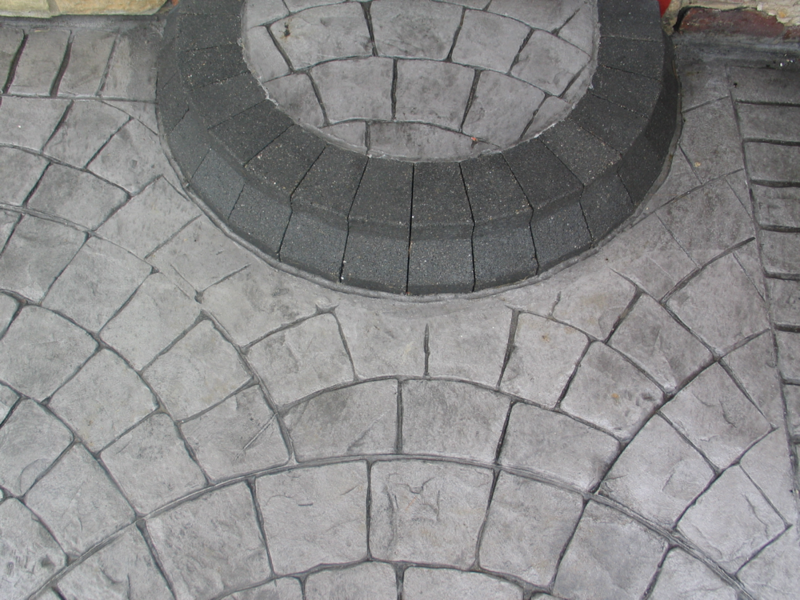 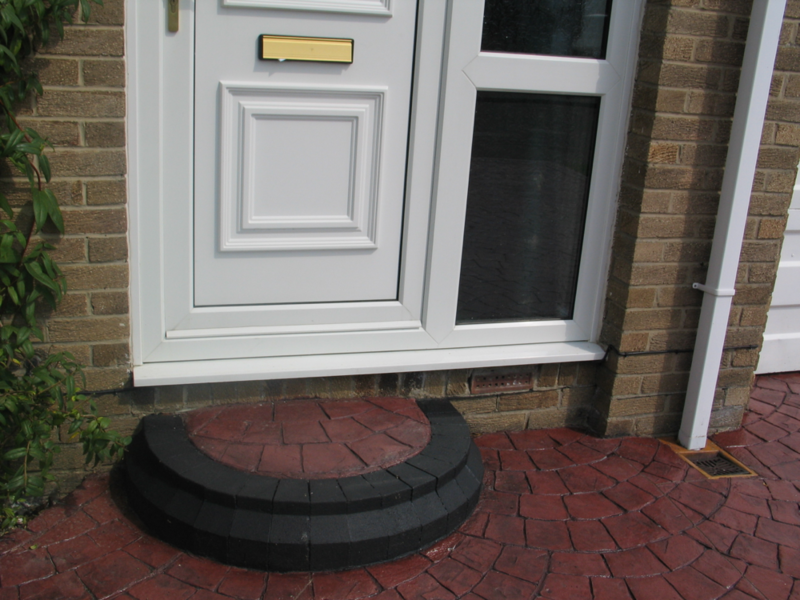 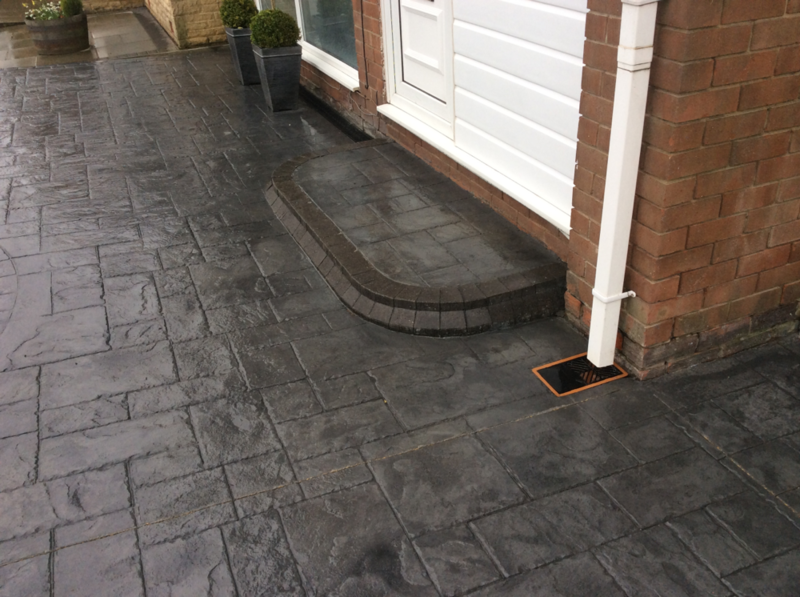 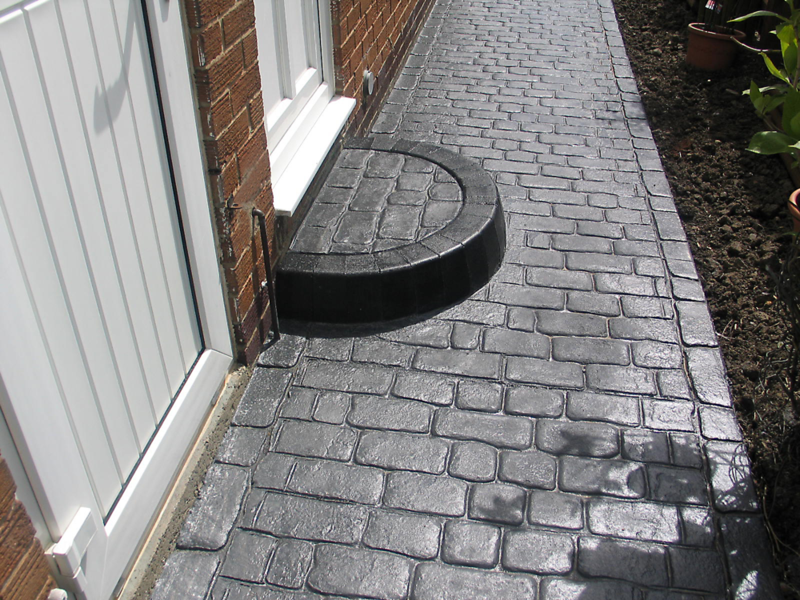 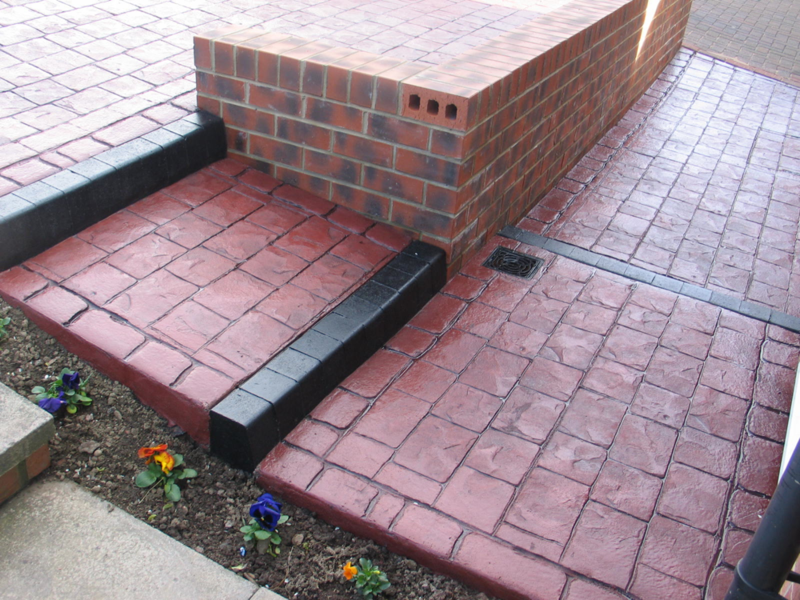 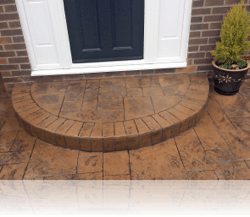 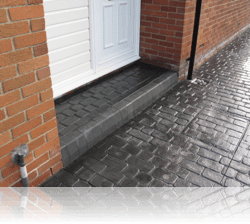 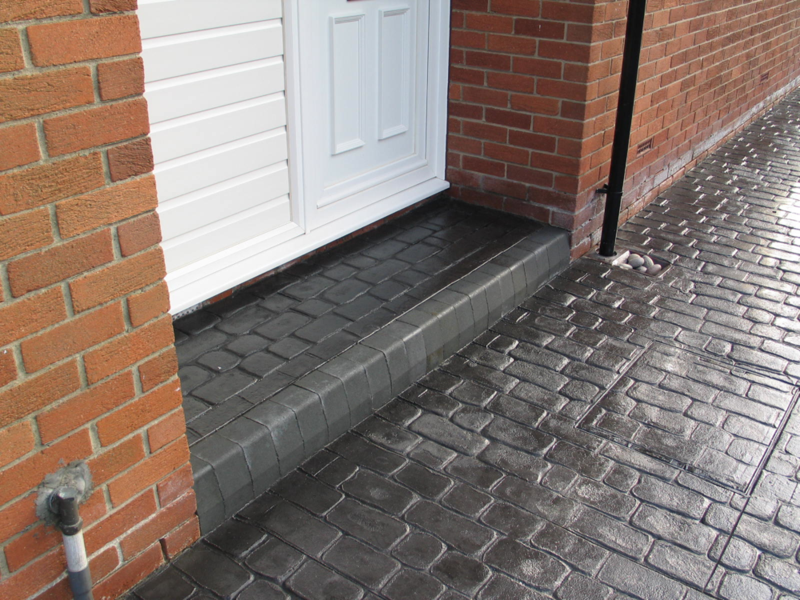 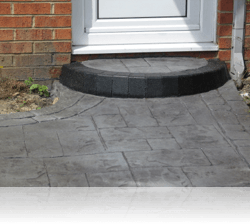 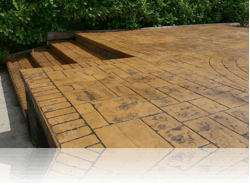 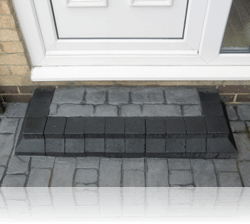 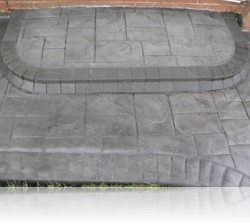 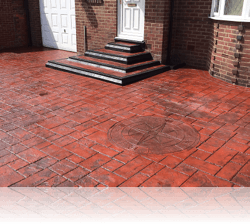 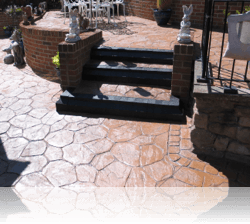 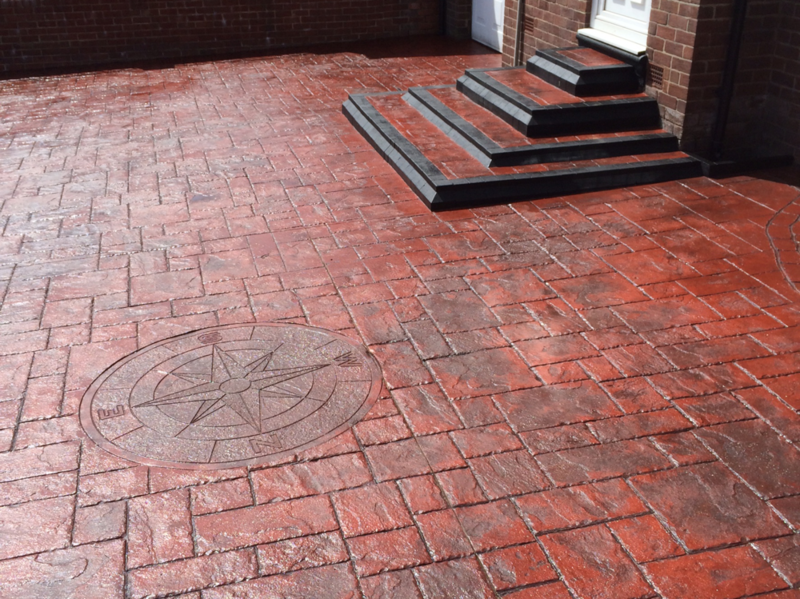 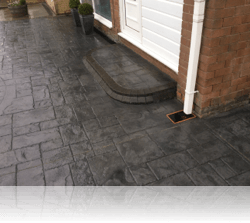 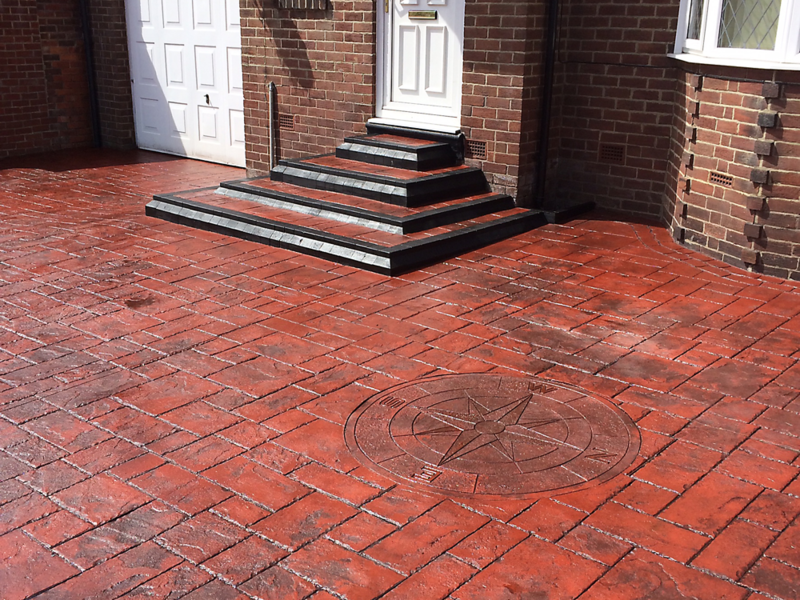 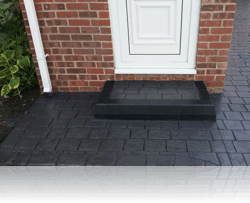 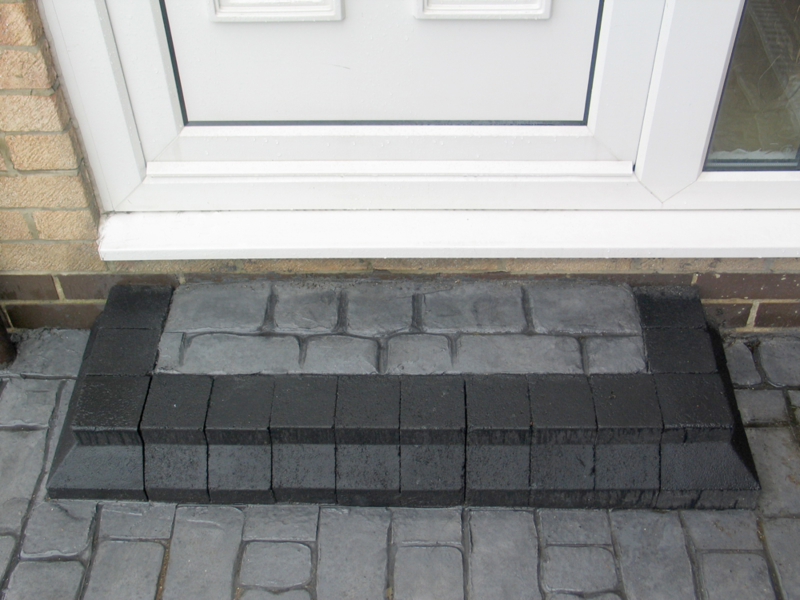 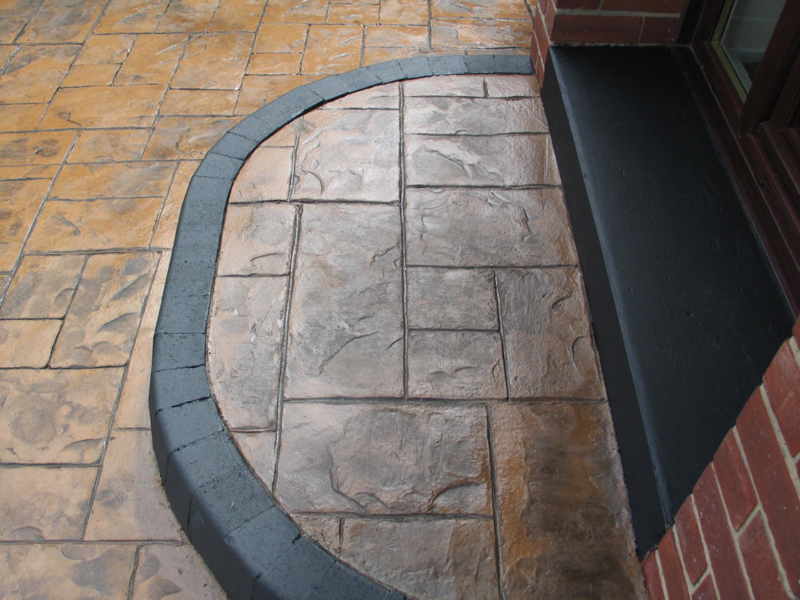 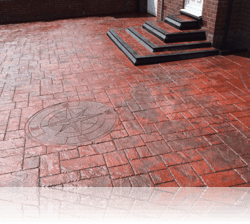 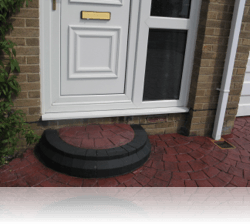 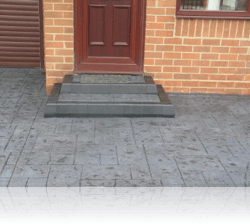 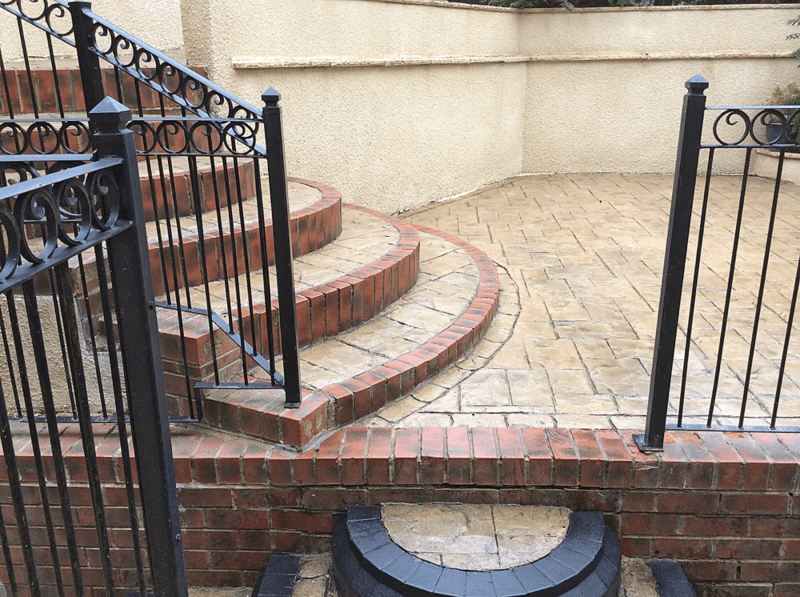 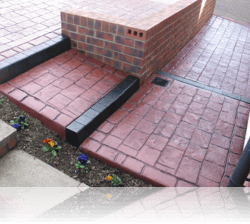 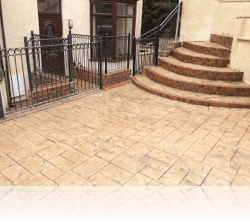 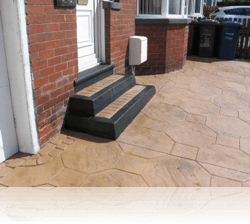 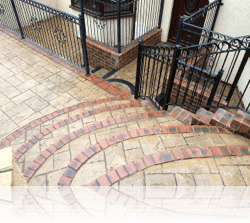 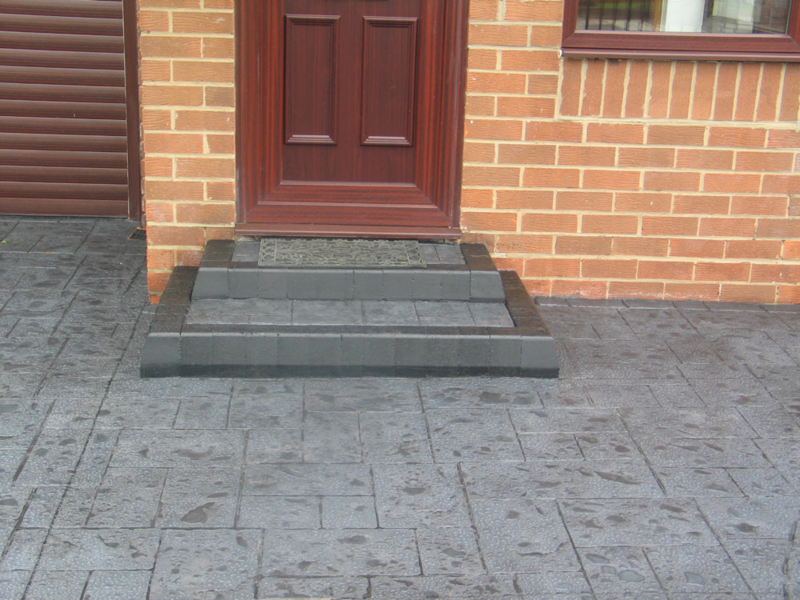 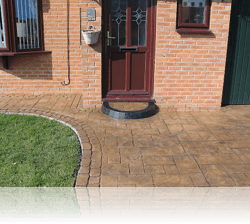 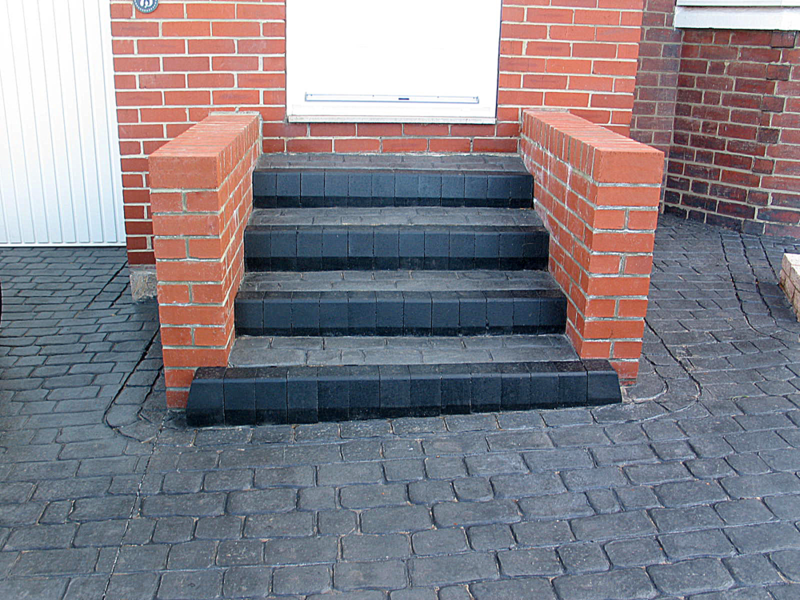 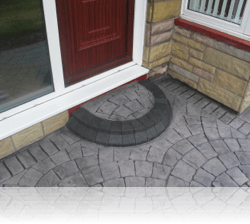 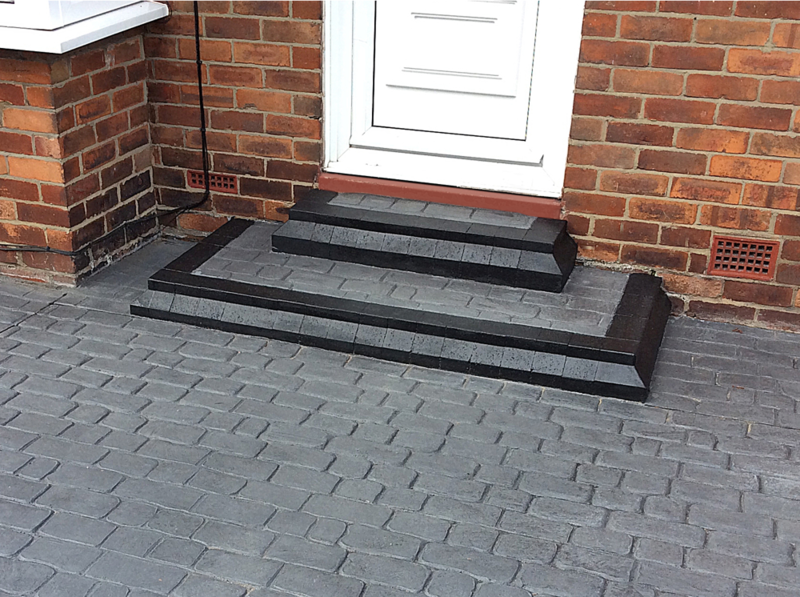 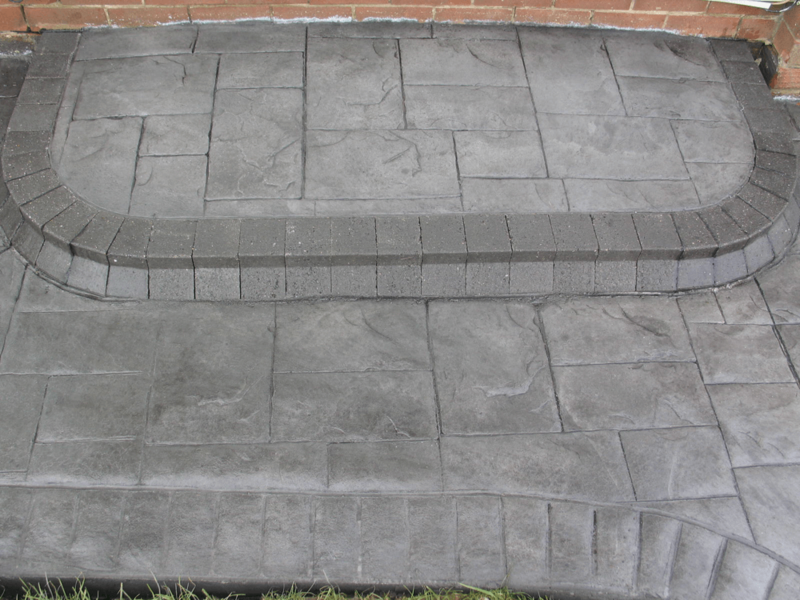 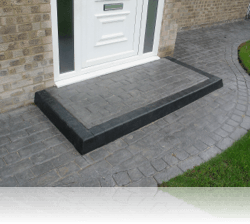 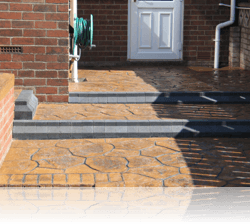 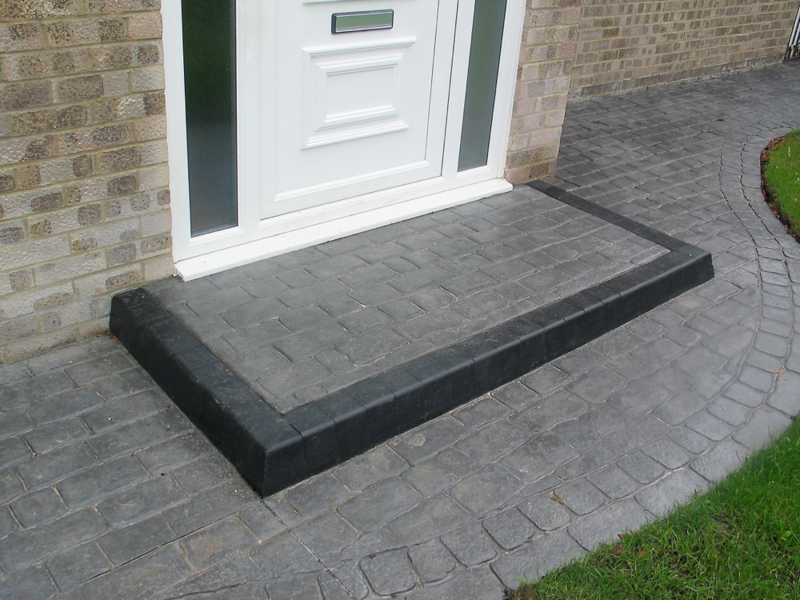 These standard steps are traditionally created with boot kerbs stones and fibre reinforced concrete which is coloured and printed to your choice. 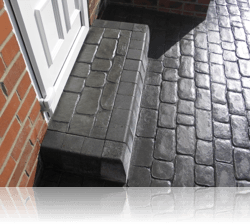 We can create bespoke steps helping you realise you own imaginative creations.